Cast: Lester Speight (Marion Casey), Wendy Raquel Robinson (Holly Casey), Skai Jackson (Lacy Casey), Tracey Gold (Lori Brookstone), Terrell Owens, Jeff Rose (Monty Mulligan). Story: Marion “Mad Dog” Casey (Lester Speight) is one of the biggest, baddest and most outrageous names in professional football, but lately his mouth has been outpacing his performance on the field. When Marion’s contract isn’t renewed and no one else rushes to sign him, he’s not happy. 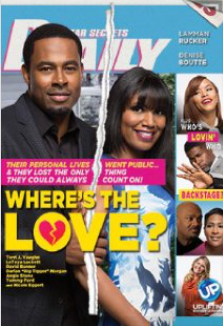 Meanwhile, his wife Holly (Wendy Raquel Robinson), who has spent many years being a stay-at-home mom for their 10-year-old daughter Lacy (Skai Jackson), sees this as an opportunity for her to pursue her career ambitions in interior design. After chauffeuring Lacy to ballet and theatre class – activities she really doesn’t like, Marion discovers that she has a knack for soccer. He signs her up and begins his new life as a Soccer Dad – the only 300-pound, overbearing, ex-football player in the group! 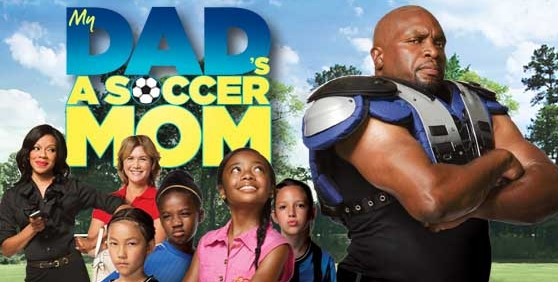 As he navigates the trickiness of being a hands on parent with soccer mom Lori (Tracey Gold) and the other moms, Marion discovers the joy of his new relationship with his daughter. Source: UP TV.